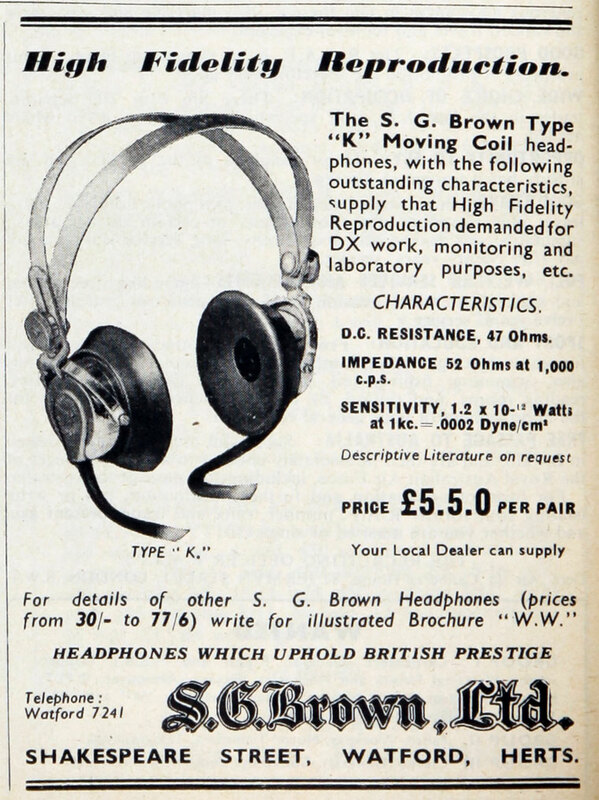 1906 Sidney George Brown, electrical engineer and inventor, formed the Telegraph Condenser Co to manufacture and market his inventions. 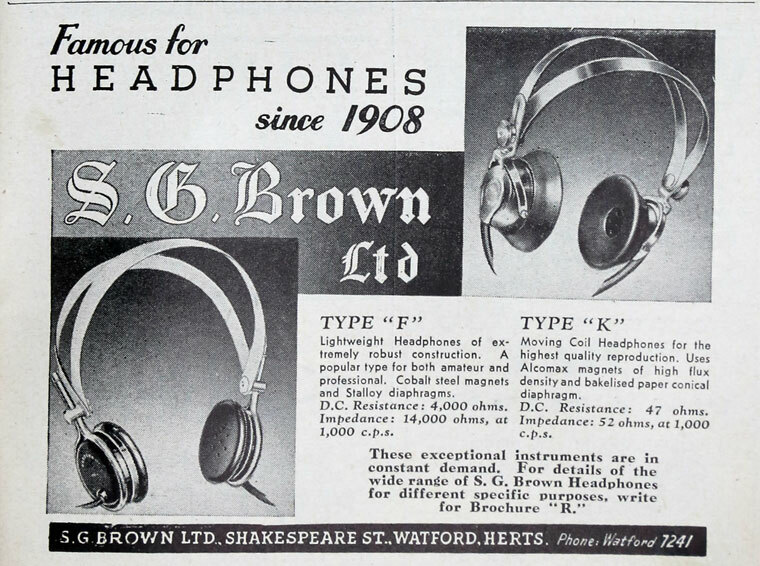 1910/11 He formed a new company, S. G. Brown Ltd, to manufacture telephone equipment. 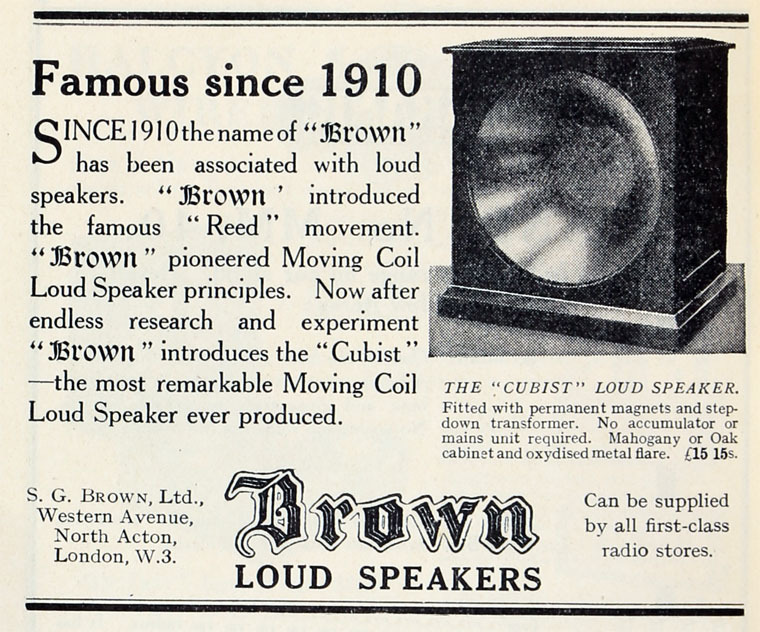 With his wife's assistance, he designed a telephone relay, an improved receiver, and an effective loudspeaker (the Browns being first to use this name for the device). 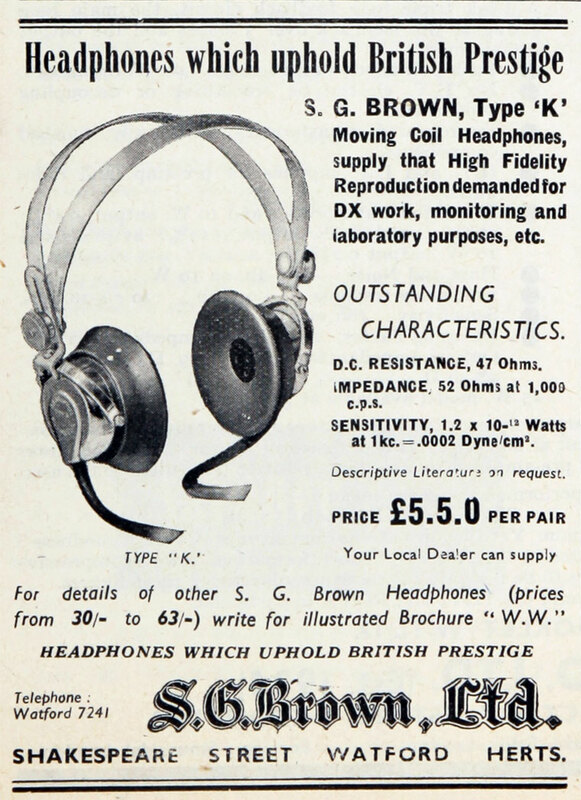 He had a small workshop in Houndsditch for the manufacture of the type-A reed headphone which became famous throughout the world. 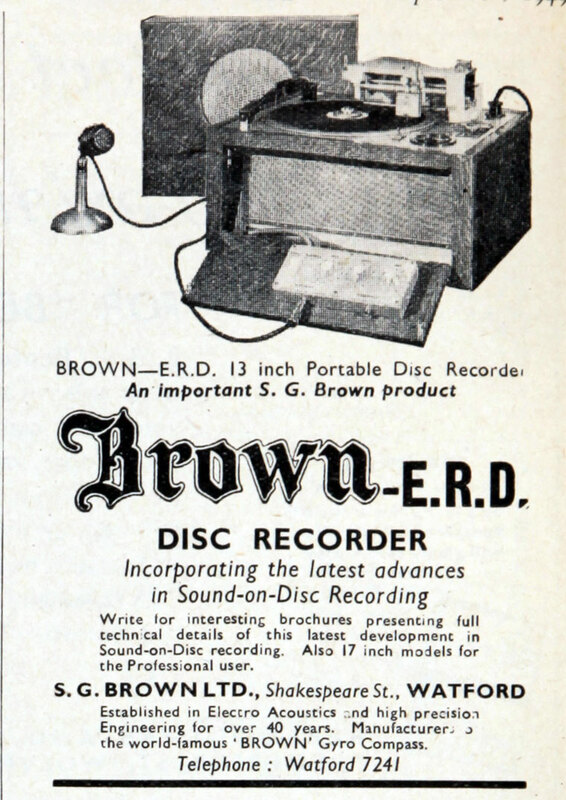 1914 His businesses had expanded to employ over a thousand people. 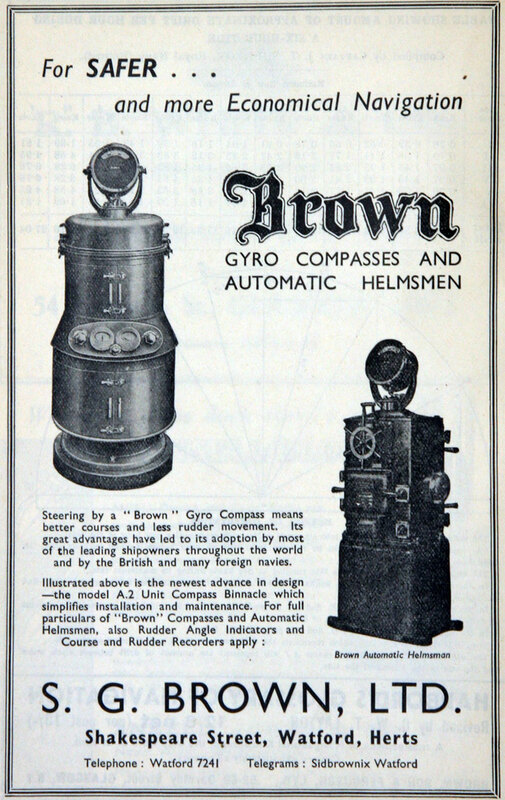 At the outbreak of war, there was no British manufacturer of gyro compasses, which had been imported from Germany. 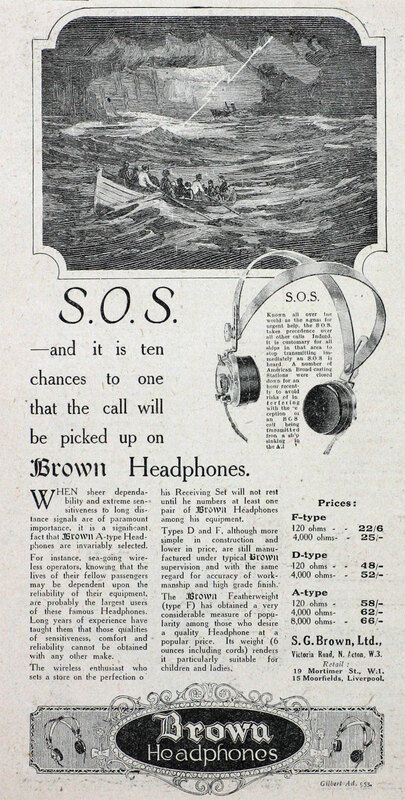 Brown set out to remedy the deficiency. During this work also devised a new method of damping the oscillation set up in a compass by a change in course called ‘liquid ballistic control’. 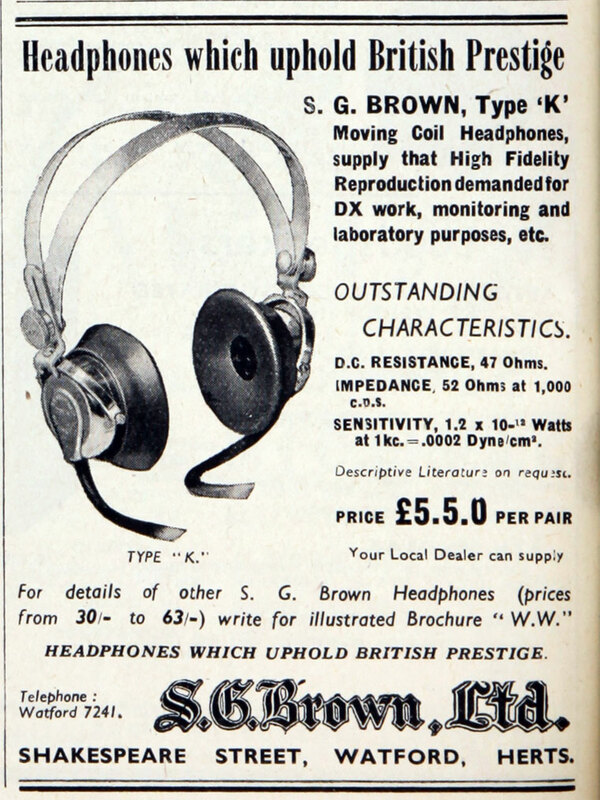 Many thousands of the type-A headphones were being manufactured for use during WW1. 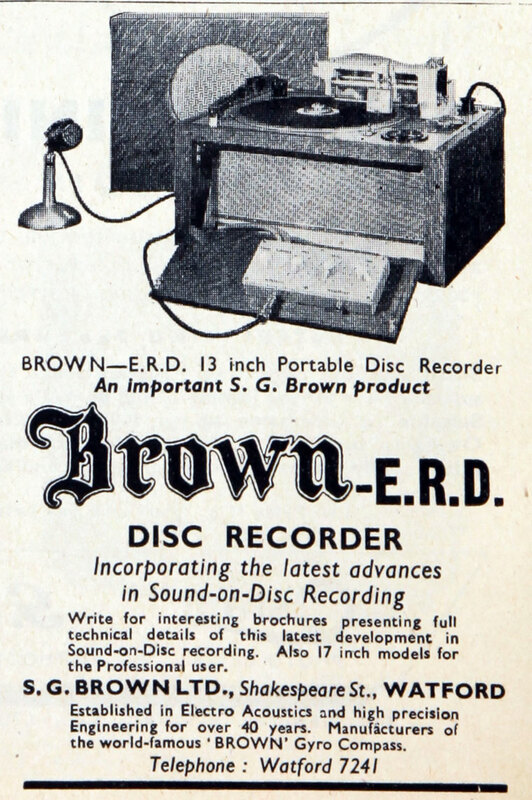 With the advent of radio broadcasting the company manufactured crystal receivers and, later, valve receivers. 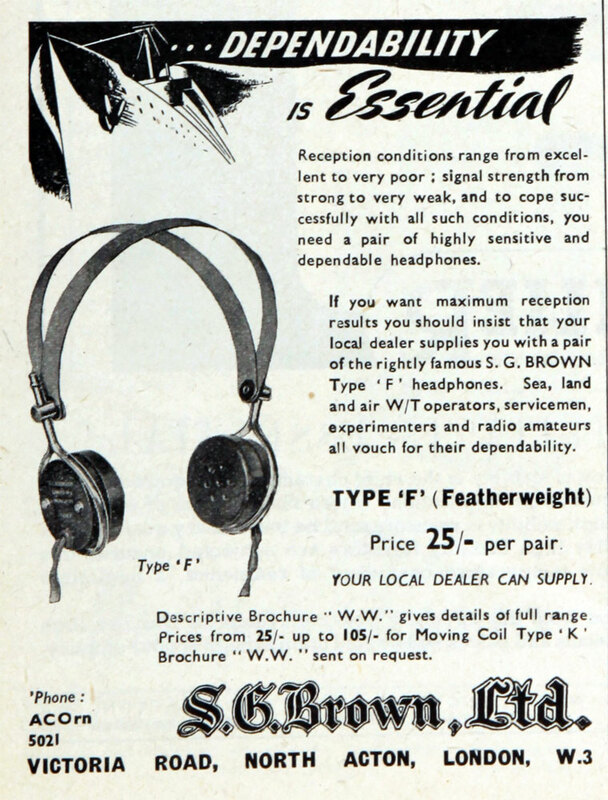 The company also manufactured horn loudspeakers and expanded greatly into the manufacture of various types of headphones. 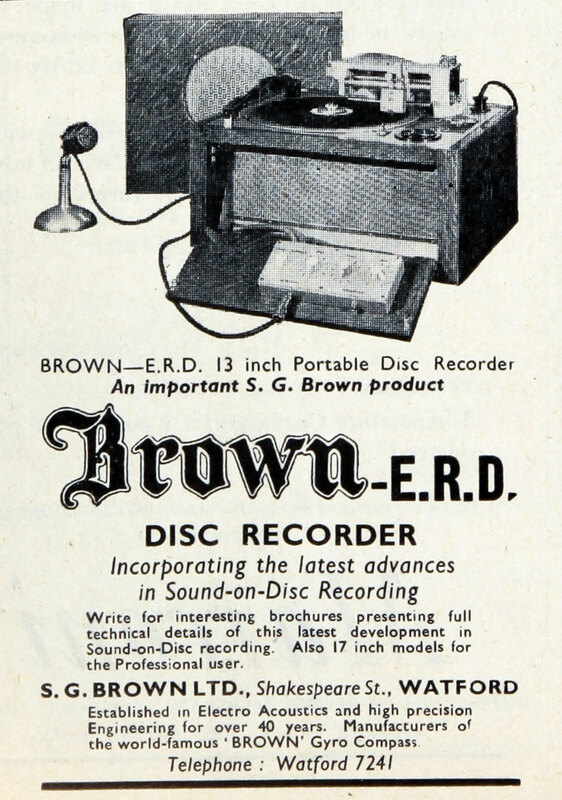 The company also produced moving coil loudspeakers, hearing aids and sound-on-disc recordings for talking pictures. 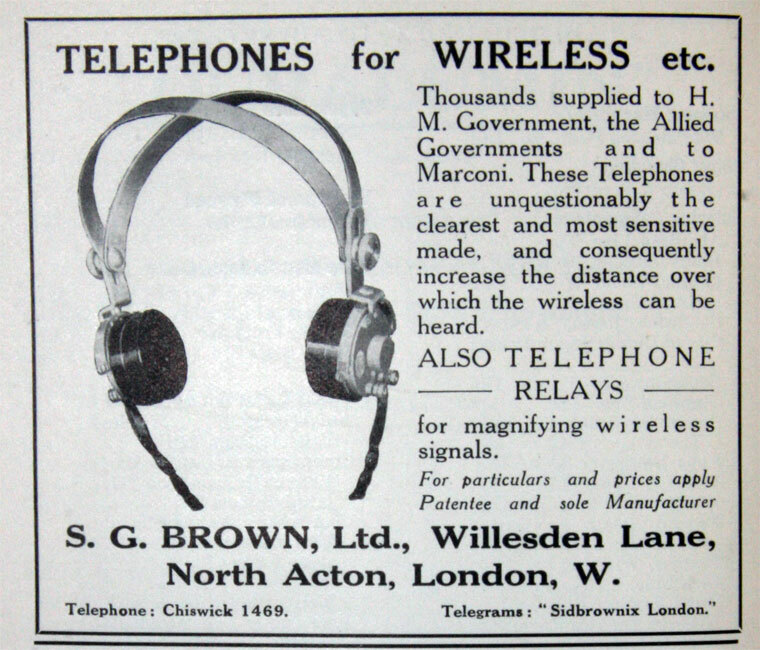 1915 With increasing demand for these products the company expanded making it necessary to move to larger premises in North Acton. 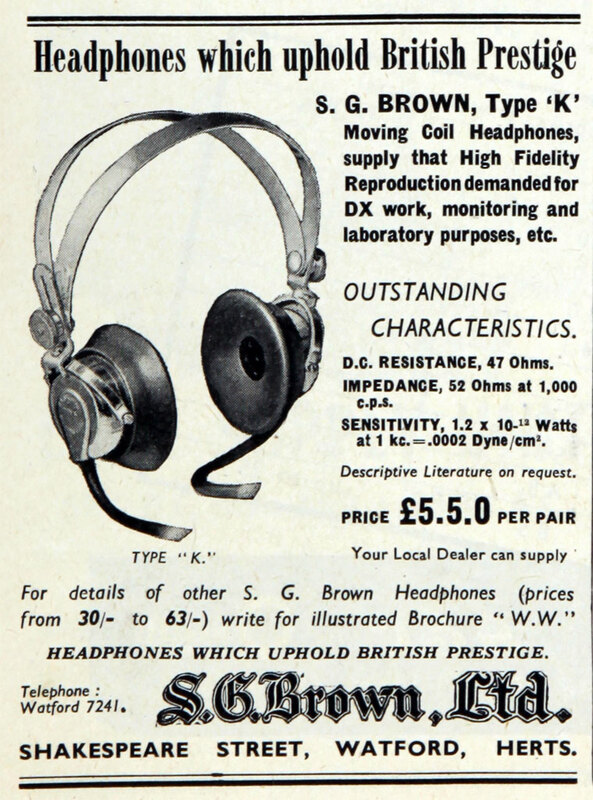 1916 Brown supplied two compasses to the Admiralty for tests; the time taken to evaluate and put them into production meant they were not available for service during the war. 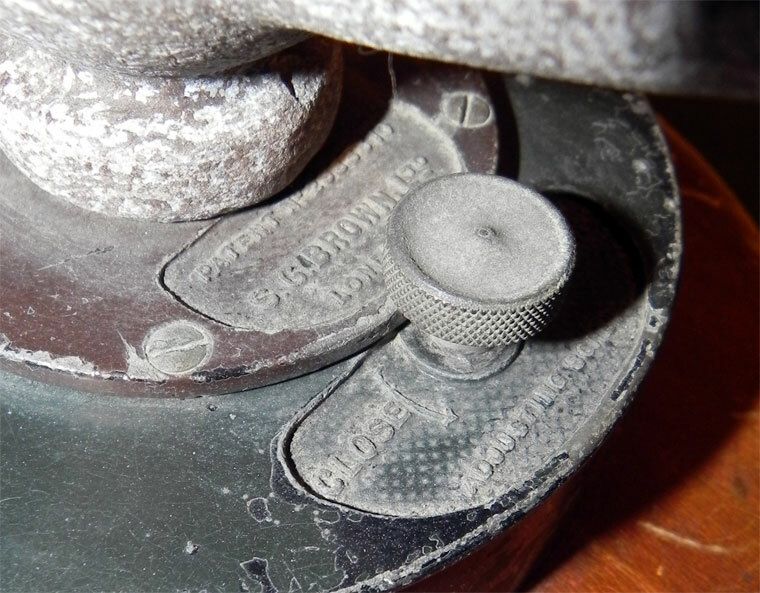 However, his compasses were later adopted for use in both ships and aircraft. 1920 Details, including illustrations, of his compasses were published in The Engineer 1920/02/20 and The Engineer 1920/03/05. Post WWI. 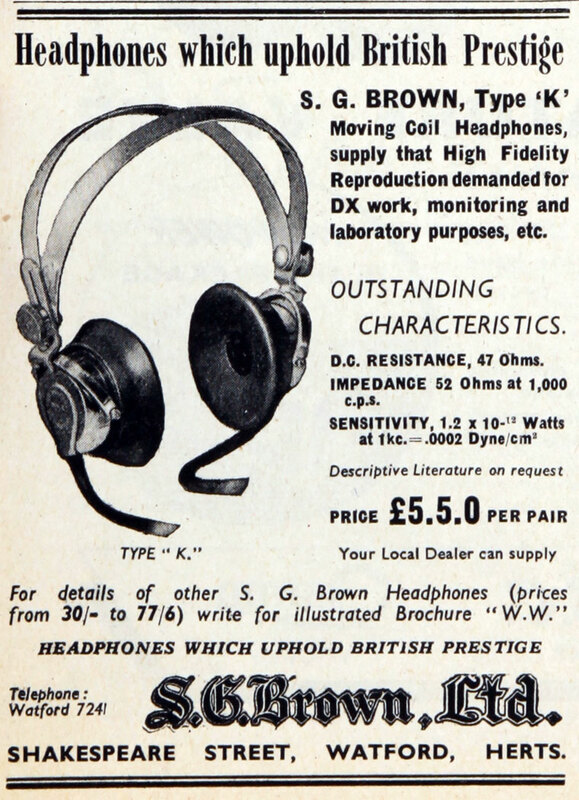 Despite the depressed inter-war years, there was still a lucrative market for electrical equipment. 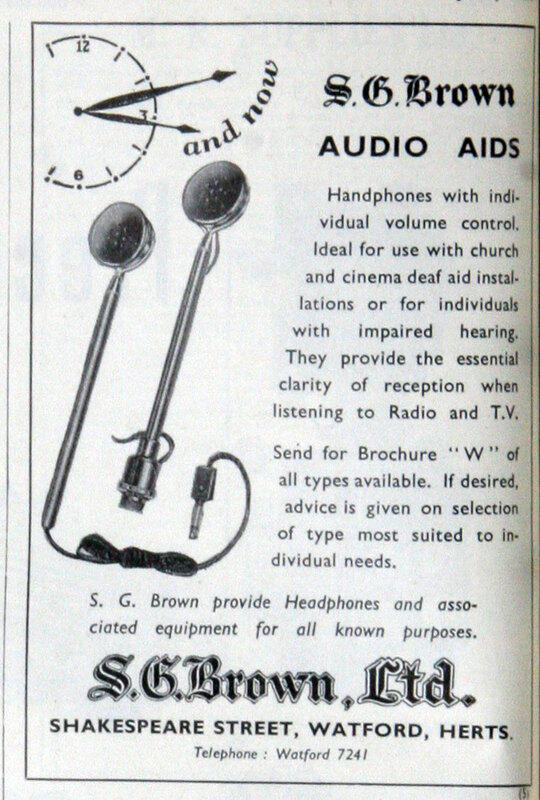 The electrical power network began to spread throughout the country and the BBC started radio broadcasting. 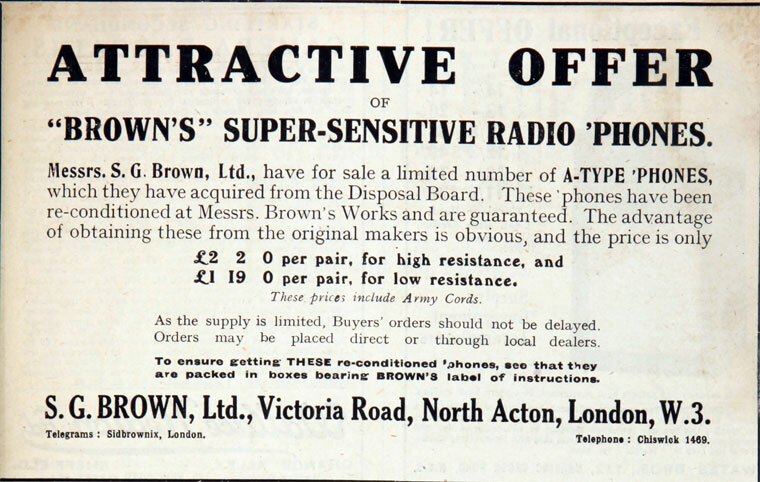 Brown's companies provided components for both power and radio, as well as for telegraph and telephone businesses. WWII. 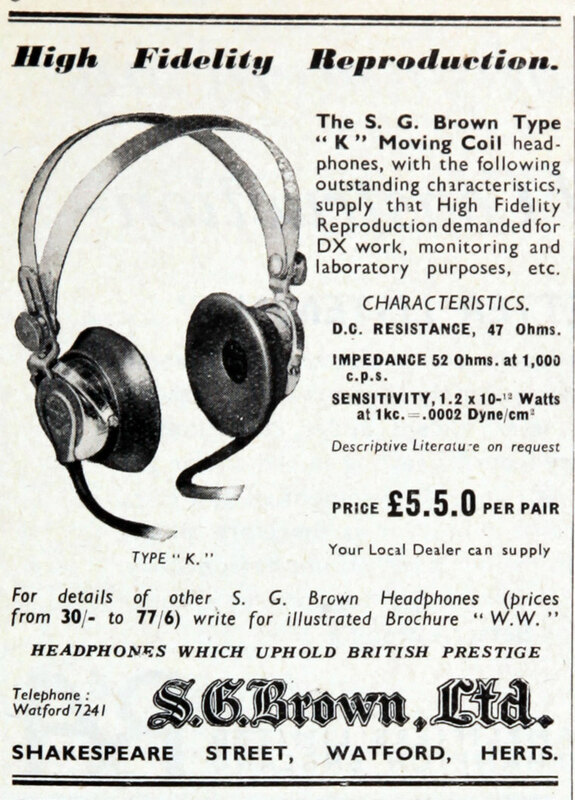 The Admiralty took charge of S. G. Brown Ltd, replacing the Browns with its nominated directors. 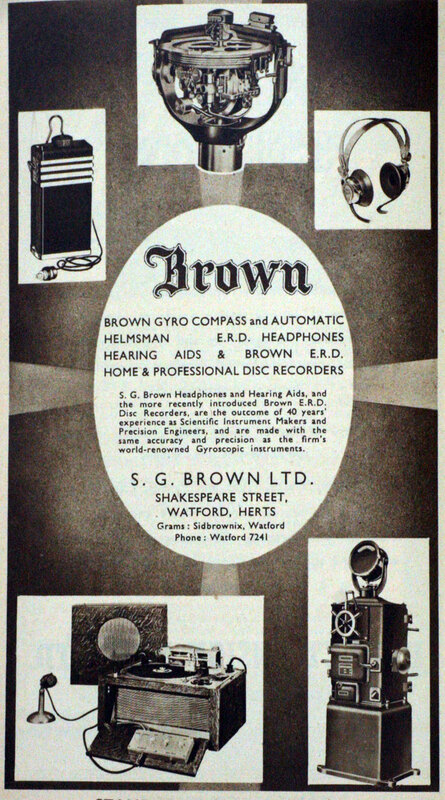 1943 Brown retired and sold his interest in S. G. Brown Ltd, including all gyro compass and radio telegraphy rights, to the Admiralty. In retirement, he devoted time mainly to cultivating orchids. 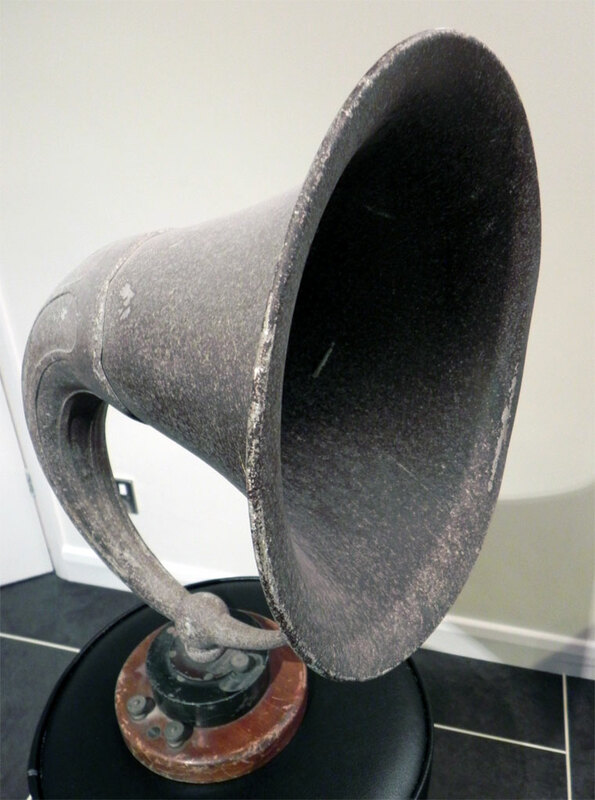 1948 He died at his home, Brownlands, Salcombe Regis, Sidmouth, Devon, on 7 August, survived by his wife. Further expansion of the company led to moves first to North Watford and then West Watford. 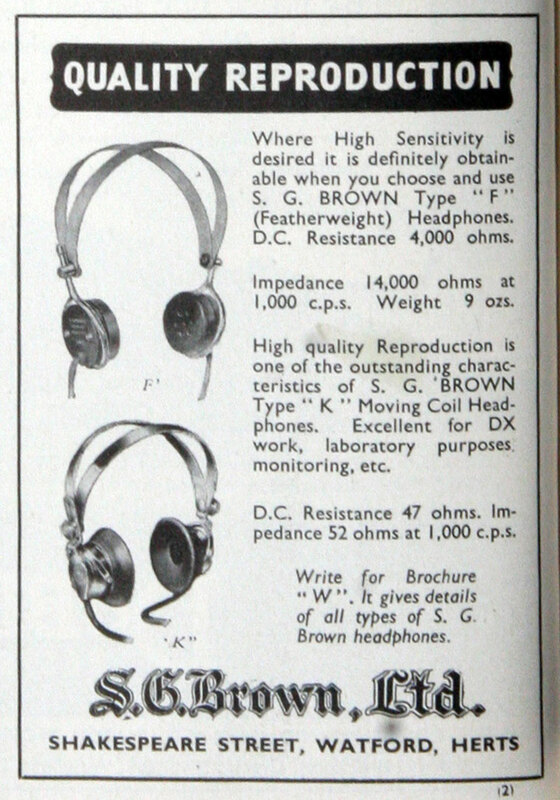 1980s Racal Electronics acquired S. G. Brown; continued making headphones and microphones, mainly for military radios. This page was last edited on 11 February 2019, at 08:26.